You know what the world needs more of? Bass pedals. I haven’t actually counted or anything, but I have been working around pedals for some time now and I’m going to hazard a guess that there are way more guitar pedals then there are bass pedals. 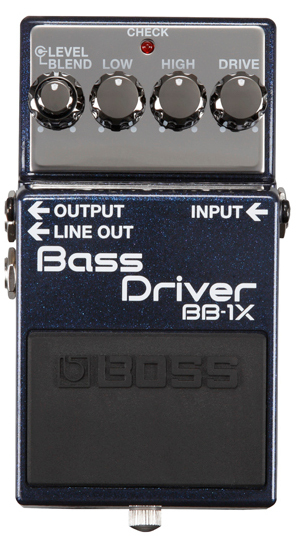 I’m talking bass specific pedals here folks. Or Basspecifc for short. I understand all the holes are the same and that there’s nothing holding those with 4 from plugging in and letting loose, but frequency matters and not every pedal can bring out what we love best about the guitar’s more baritone cousin. In case your wondering, MDP stands for multi-dimensional processing. I searched around the internet trying to see if I could figure out exactly what that was and all I could come up with is that it processes your sound in multiple dimensions. I don’t know about you, but that sounds awesome and kind of Dr. Who-ish! Seriously though, it looks like Boss put a lot of work into this pedal, so check it out if you get a chance and let us know how this new box sounds. Also, check out this video demo.